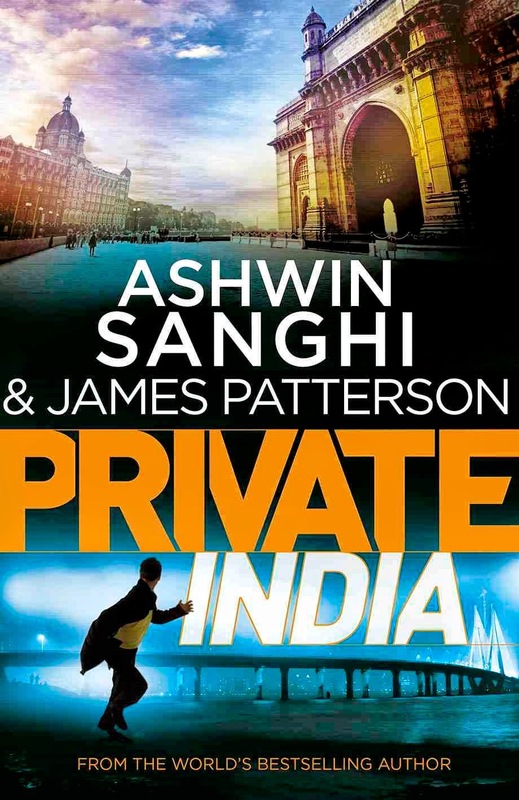 Private India written by Ashwin Sanghi and James Patterson is a continuation of James Patterson's world famous Private series( I haven't read any Private series yet ). 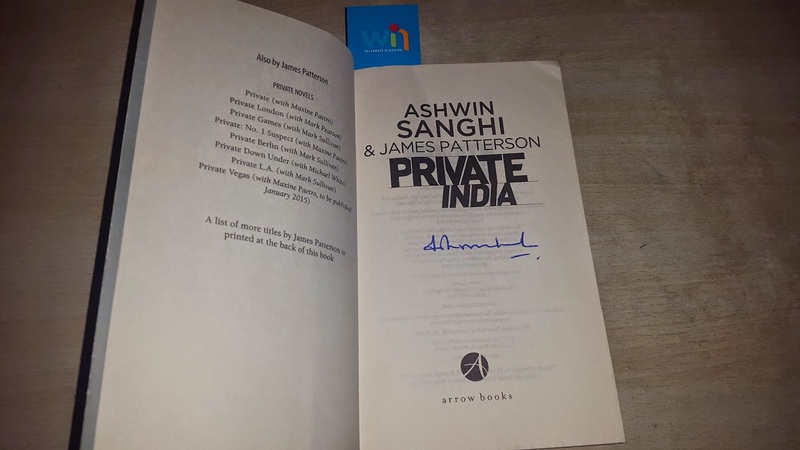 It is published by Arrow books and I have received this Ashwin Sanghi signed copy as a part of BlogAdda's Book Review program. They both are bestseller writers although I haven't read any of their books as of now but aware of their works such as Chanakya's Chant, The Krishna Key by Ashwin Sanghi and Alex Cross series of James Patterson. Cover : From the front cover itself one can deduce that it is a thriller based in Mumbai and a race against time for the protagonist looking at the running man in the picture. It tells reader about the intrigue and the mystery they are going to experience.Pictures of Taj Palace Hotel, Gateway of India and Bandra -Worli sea link contemplate your interest. As you read the prologue you got the idea that it has something to do with the terrorist attacks on Mumbai but as you started reading chapter one you realized that many twist and turns are waiting to come your way. Plot : The story revolves around the head of Private India Santosh Wagh and his team consisting an ex-lady cop, a technology expert and master of forensics. All of them having their stories of past adding interest and suspense to the narrative. They got the charge to investigate and solve the case of killings of women unconnected to each other. They were strangled in a chilling ritual and with strange objects carefully arranged with the corpses. Who was the killer? What's the motive of killing ? Why were these women killed ? What were these rituals ? How many more murders? Will they able to stop the killer ? How the Private India is connected to the killings ? What role does head of Private play in the case?Answers to all these questions made them face their dark pasts,broke their trusts,and took them to much bigger conspiracy which staggered the foundation of their organization. Thriller :A power packed pacy layered plot is the highlight of this book. Each chapter reveals a layer further increasing the suspense and curiosity of the reader. Short chapters maintained the pace, quickly turning pages creates involvement in the story. Each character's entry brings a new twist. There are all flavors of Mumbai in it having covered almost all of Mumbai in it's narrative from Chowpaty to Kamathipura to Churchgate,etc. Excellent portrayal of psychic of each character, reader gets aware what was running in particular character's mind. Fully packed with thrill,action and suspense like a Bollywood movie. It's a kind of book you would like to finish in one go. Spoiler : I think revelation of killer was in haste. Scene shifting at an important point was sometimes confusing. More closer to a film script than to reality. Rating : I will give 3.5/5 and would definitely recommend to someone who enjoyed the suspense/thriller genre.